Hex is a unique and special cigar made from aged rare tobaccos carefully selected and blended in Condega, Nicaragua by the finest torcedors. It’s rich, dark Ecuadorian Habano wrapper delivers bold and hearty flavors that create an unforgettable smoking experience. 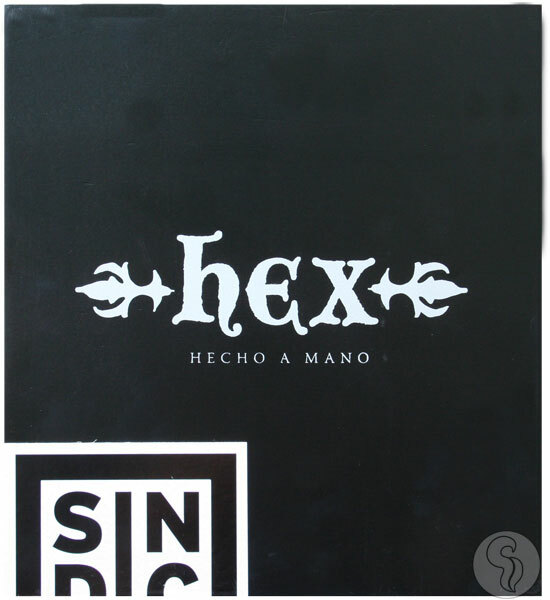 With a striking visual and flavorful concept, Sindicato Cigars offers its boldest creation: Hex. A dark Ecuadorian Habano wrapper surrounds Nicaraguan tobaccos, creating rich flavors of chocolate, nut, leather, and a delicious vanilla creaminess throughout. Hex is a solid, medium-bodied cigar with full flavors that will have you reminiscing long after the embers have gone out.